If you were looking for a brand new shooter to take you into the weekend, here it is! The game is called The Conduit, built specifically for Tegra-powered devices. 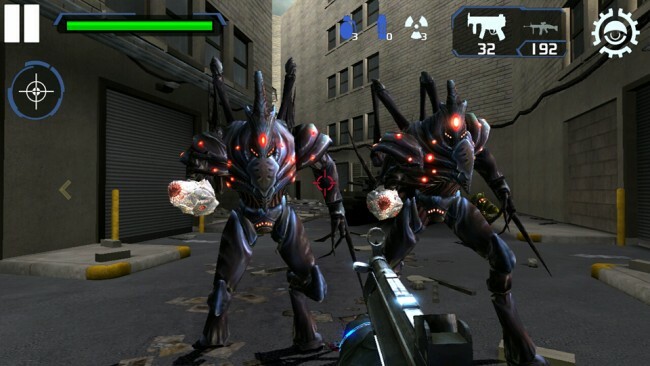 It is a first person shooter, bringing console-quality graphics and big guns right to your mobile to kill these evil aliens. The game was previously released for the Wii, but it translates quite well to Android. In the game, you play as Michael Ford, a man who has been enlisted by The Trust. Your job is to take back our planet, using weird alien-like technology and high-powered rifles. Sounds like my kind of job. Like I mentioned previously, it is currently only available for Tegra-powered devices, which cuts the amount of people who can play it quite a bit. Although, if you are running a Nexus 7 or Transformer-series tablet, you are in luck. The game is free for the first two missions, then $5 for the remaining 7 missions.